Insights Qualitativos 2.0: The consumers are dead! Long live the multipliers! The consumers are dead! 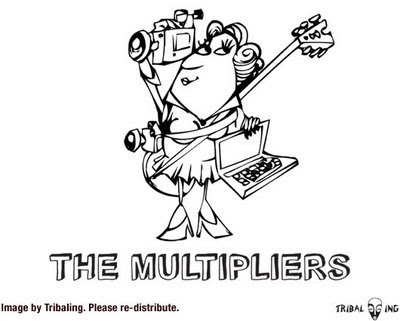 Long live the multipliers! The term "consumer" is a relic from an era of marketing that places an emphasis on the destruction of value. The consumer is viewed as a passive participant in a process orchestrated by the company. On an extreme the consumer can be seen as an information processor, or machine, that decodes messages as designed by the company and then acts as programmed. I'm particularly fond of the word 'multipliers' which Grant McCracken shared on his blog in 2005. It describes how people add to, and re-shape, the meanings of brands, as well as multiply their value. If nobody cares about your brand, it's not worth anything. On the other end - the more positive engagement your brand creates, the more it accelerates. Multipliers can help to prolong the long tail, if companies invite them to participate on their websites. Keep in mind that in the end it's the customer experience that matters. Companies exist to support customers, and not the other way around.